are you coming today?? taco tuesday! 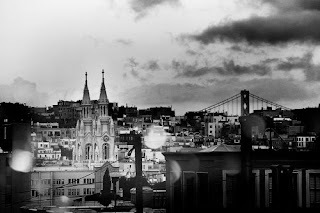 thats a gorg pic of SF...I only lived in the eeast bay for 4 years, but I do miss the weekends spent with my ffriend who went to sf state, and exploring the city and then visiting sara! yes, San Francisco can definitely capture hearts and lots of great memories for me as well! let's work on making Sacramento a great place to be also as it's up to every single individual!